Home / apple / news / #GJNEWS: Apple issues apology following attacks in China. #GJNEWS: Apple issues apology following attacks in China. Apple issued an apology to Chinese consumers Monday after government media attacked its repair policies for two weeks in a campaign that reeked of economic nationalism. A statement Apple posted in Chinese to its website on Monday said the complaints had prompted "deep reflection" and persuaded the company of the need to revamp its repair policies, boost communication with Chinese consumers and strengthen oversight of authorized resellers. State broadcaster CCTV and the ruling party's flagship newspaper, People's Daily, had led the charge against the iconic American company. They accused Apple of arrogance, greed and "throwing its weight around" and portrayed it as just the latest Western company to exploit the Chinese consumer. The attacks started backfiring almost as soon as they began and were mocked by the increasingly sophisticated Chinese consumers who revere Apple and its products. State-run media also inadvertently revived complaints over shoddy service by Chinese companies. 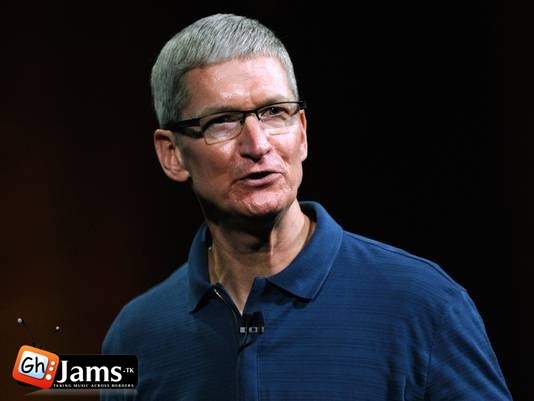 Nonetheless, Apple responded with an apology from CEO Tim Cook. "We've come to understand through this process that because of our poor communication, some have come to feel that Apple's attitude is arrogant and that we don't care about or value feedback from the consumer," Cook's Chinese statement said, as translated by The Associated Press. "For the concerns and misunderstandings passed on to the consumer, we express our sincere apologies." Although Apple enjoys strong support from Chinese consumers, the vehemence of the attacks and the importance of the Chinese market appeared to have persuaded the company to smooth its relations with Chinese consumers and authorities. The People's Daily newspaper ran an editorial last Wednesday headlined "Strike down Apple's incomparable arrogance." "Here we have the Western person's sense of superiority making mischief," the newspaper wrote. "If there's no risk in offending the Chinese consumer, and it also makes for lower overheads, then why not?" Chinese observers accused People's Daily of gross hypocrisy and pointed out that the newspaper had maintained a stony silence when Chinese companies were implicated over food safety, pollution and other scandals. Meanwhile, CCTV was shamed when it was revealed that celebrities had been recruited to blast the company on Weibo, China's version of Twitter, in what had been billed as a grassroots campaign. "The public responded in two ways to this incident," popular commentator Shi Shusi wrote on his Weibo account. "One group supports this criticism but quite a number of people felt that there are state monopolies which have severely violated customer's rights, but which are not being exposed." Popular business magazine Caijing said its readers identified a long list of abusers, including state banks that lend to those with political connections while stiffing ordinary savers with low rates on deposits; a government oil company that sets gas prices and other rates as it sees fit; and state telecom providers notorious for their lack of customer service. "If media is going to go after Apple, let's hope they spare some thought for those big Chinese communications companies and other monopolies, the ones that enrich special interests in the name of being publicly owned," Cai Tongqi, a lawyer from the eastern province of Jiangsu, wrote on Weibo. Consumers thus far seem unfazed by the state media's attacks on Apple. Perusing the wares at an Apple reseller in Beijing's tony China World mall, recent college graduate Zeng Lu said she considered the controversy a sign of the Chinese consumer's growing maturity. "It's great to see Chinese consumers standing up for their rights, but it's ridiculous for the People's Daily to get involved," Zeng said. "They should be criticizing state companies instead." Apple's popularity flies in the face of China's ardent attempts to push its own brands and develop internationally competitive companies. The company also has resisted trends to enter joint ventures and move research and development to China. It also ignores big state media such as CCTV and People's Daily. Apple relies on Chinese factories, though, to make iPads, iPhones and other popular products. Despite the government's pressures, sales of Apple products in the region, which includes Taiwan and Hong Kong, grew 67 percent to $6.8 billion in the first three months of 2013, compared with the same period a year earlier, according to the company. Apple sold 2 million iPhone 5s during the first weekend it was available in China, in December. The region is Apple's third largest market, accounting for 13 percent of all sales last year. More than 17,000 outlets sell its products in mainland China, a figure that includes 11 Apple stores and 400 premium resellers. In January, Cook said he expects China to replace North America as its largest source of revenue in the foreseeable future. The attacks on Apple center on complaints over Apple's repair policies in China - specifically its practice of only replacing faulty parts rather than providing new iPhones, as it does in other markets. Critics say that allows Apple to avoid having to extend its service warranty by another year. Until Monday, the Cupertino, California-based company had kept silent apart from issuing a statement March 23 explaining its repair policy and pledging its deep respect for the Chinese consumer. Yet consumers and analysts say the complaints hardly justify Beijing's campaign of vilification. Such nationalist outbursts are not uncommon, although previous campaigns against foreign companies have often been tied to perceived national slights, as often befalls Japanese firms. Google was attacked after the company announced in March 2010 that it would cease censoring its search responses inside China. Beijing accused Google of being an arm of American "information imperialism." Beijing is also angry over Washington's effort to exclude Chinese high-tech firms including Huawei and ZTE from the U.S. market. A spending bill signed by President Barack Obama two weeks ago includes a clause barring NASA, the National Science Foundation and the Justice and Commerce Departments from contracting with firms tied to the Chinese government. Washington and Beijing have also sparred over more recent hacking attacks, including a highly influential report by cybersecurity firm Mandiant that tied Chinese hacking to a unit of the People's Liberation Army based in Shanghai. Apple, however, may have been singled out simply because it is "the biggest open target," said Jim McGregor, senior counselor at consultancy APCO Worldwide. "We're still seeing a lot of things wrapped up in economic nationalism," McGregor said. Even before Monday's apology, he had predicted Apple would make some sort of show of contrition to get its relations with the Chinese authorities back on track. Duncan Clark, managing director of BDA China Ltd., a Beijing research firm, said the assault probably stems from a combination of factors, including the failure of Chinese companies to make breakthroughs in high-end consumer electronics. "There's a general sense of frustration that China can't move further up the value chain," Clark said.